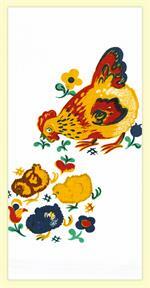 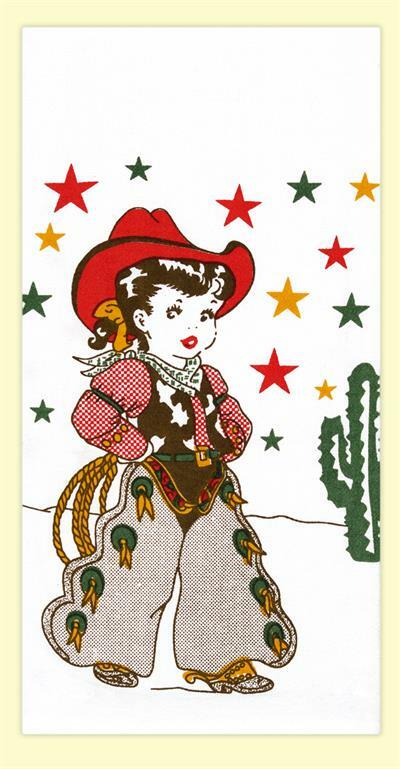 No country kitchen would be complete without this cute, vintage 1940s Cowgirl flour sack towel. 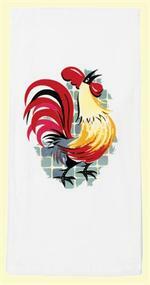 She'll look right at home on any home on the range, cabin, farm house, or chuckwagon. 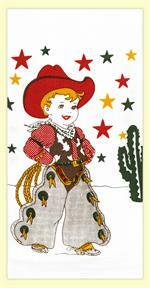 This cute Cowgirl towel will also make a cute quilt square or pillow!